Where can I upload my client's logo? 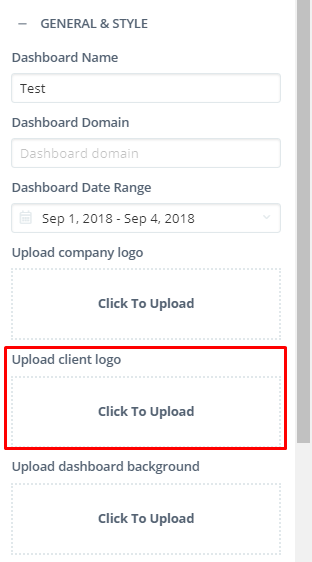 You can upload your client's logo in 2 different ways. First, during the last phase of the dashboard creation process. You can also go via edit dashboard and add them there. And in General & Style locate the Upload Client Logo section. Read more about preferred dimensions of a logo here.